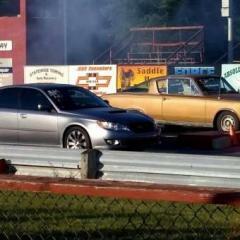 Showing results for tags 'drag racing'. Heres my Ford starliner super stock build, small slicks, seat belts, BMF, Nice kit by AMT..
Heres a 67 SS Impala Outlaw I just Finished! Used slixx dragster decals, Melody Troxell I think..hope u like her..
One of my favorite drag cars from my era. Has this kit for decades and finally had the "chutzpah" to start it and very rarely finish it. Dis body and chassis mods to get the right stance. hope you can see those in the next set of pictures. Have been very busy with life in general and less time at the bench but not out of the hubby. Here is what I am working on. 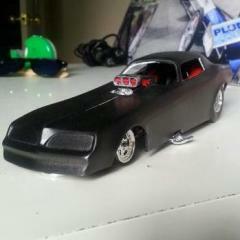 It is a replica of the Nostalgia Drag Racing P/S Colt. The owner of the real car Bob Mayerle reach me to make him a model of his race car. So far this is where I am. Using spare parts and aftermarket pieces I think this can be done. One of my other builds I started with a big scratch built turbo. It's gonna be another small tire car with a tube chassis. Any help and ref pics for the Nitro Bandit Olds funny car, I can only find a cpl online? Just another Fox Body drag car. So after a 20 year hiatus I decided to build a couple models seeing they're cheaper than the new turbo I want for my real car. It's the Revel 1990 LX drag car but I'm trying to put my own spin on it. This is my first time trying to scratch build a cage but I can't bring my self to just use the roll bar in the kit seeing in my mind a proper booster, fox body, should be well under 10 seconds in the quarter. I'm borrowing some pieces off a cheap pro street kit I picked up. Hopefully I don't get discouraged and throw it out Cage started, lots of finangling will be needed. I want to do a funny car style cage but may have to settle for an 8:50+. I also cut channels for sub frame conectors, cut the front wheel wells out back to the shock towers (not pictured), and cut out the gas tank and spare tire well. The kit comes with a 302 and 5-speed but my OCD wants a bigger engine and a trans a capable of 1000hp and low 8's so I'm going to try this 351 and automatic. I have a "mock up" motor plate on it. Hopefully I can get this to work with a motor plate and the small under hood area. This will be a lot easier for exhaust but a pain to run a belt with. I have a single turbo which would be easier to mount but I'd have to figure the exhaust out. I've always hated chrome plated parts. To me it's never looked right so I gave these items a bleach bath. Included- B&M shifter, breather tank, sheet metal intake, distributor, fire extinguisher, starer, valve covers, trans pan, Hopefully this turns out. Give me tips, I need them. 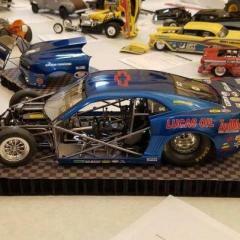 any info on the Gun Fighter VI Pro stock car? any ones built here? Need a cpl ref pics, can only find one? Coming in just a couple weeks is a huge release of new parts. Parts shown in the attached image is just a portion of what is coming. Ladder bars are getting some love in this new release as well as new linkage mounts and some time-saving parts to help scratchbuilders. In addition to the shown images, i also have 3 new Optima Battery tray designs (in both 1:24 and 1:16) that will come in a 2-pack with resin batteries. The battery trays fold around the resin batteries for an added touch. The large majority of this plate will be the new Tab and Bracket series, with nearly 100 different frets of tabs and brackets designed to fit specific screws and bolts. I'll have product images up as soon as the new plates arrive in about two weeks. AMT 1932 Ford Roadster Center drive Drag car? Recently I saw a built 1932 Ford Roadster that was a center steer drag car. It had a nice tonneau cover over the drivers area except for where the driver would sit. When I asked my buddies at my local model club. They said it is a AMT kit and that the parts for this build are included in the kit. Sooo here is the question to all of you are much more knowledgable than I am. Which version(s) of the AMT 1932 Ford roadster kit has the parts needed to build the center steer drag race version? Hopefully it will be a verily recent kit. Don't want to break the bank. Thank you in advance. I just finished designing the artwork for the 1st two in a series of all new decal sheets that will be available from Model King. These are going to be high quality silk screened printed decals printed right here in the USA. They are being printed by the same vendor who makes the Gopher Racing Decals so if you have seen those, these they will be similar in quality. The 1st sheet going to press is for the new Revell '90 Mustang LX. 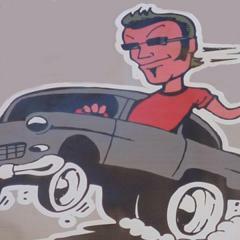 The 2nd sheet will be a set of fictional drag car graphics. The drag cars sheet is geared towards the Pro-Stock / Pro Mod / Slot Car crowd but could have other uses too. They should be available by the end of the year and sold through the usually Model King suppliers. 1966 nova pro street. one of the builds i did when i got back into modeling 7 mths ago. I believe it is the 2nd or 3rd air brush paint job and the first time i everr weatherd an engine. Hey fellas vacation time is over and its time to get started on another build. Actually I got started on this one a couple weeks ago I never stoped building once the daytona was done. I'll be fabricating a Reher-Morrison 5.3 nitrous motor from brass and aluminum. As a side note I will be using parts from my buddy Jim Littken of http://www.micronitro.net/ And from Charlie Of http://www.protechmodelparts.com/ and any other source that will make the job easyer. Anyway Sassy and I invite you to come along on another journey as we endevour to build a better model. sassy says Hello...... Ok I started with some brass stock and drew my pattern out for the motor block ends, which were then cut out.... its a good thing I cut out four because my first set cam out loped-sided, sorry I didnt get alot of pics but heres where the engine block is as of now..... Oh and before I forget heres what I built a couple weeks ago. The guys at the DSC have already seen it. Notice my special jig (which is still under construction) it will help me to pump out the chassis for RR Speed. Hope you enjoyed see ya real soon. Does any one make photo etch lenco shifters in any scale ?